It's a banner day for fans of old computer games, as Nintendo introduces three classic Commodore 64 titles to a new generation of North American gamers. Yes, the clues in last week's Wii Update led us to one inevitable conclusion: Commodore 64 games were coming to North America. We just didn't realize it would be so soon. Three C64 titles drop this morning on the Virtual Console, each ringing in at 500 Wii points a pop. Battle it out ferociously as The Last Ninja, or grab International Karate if you prefer your martial arts in a more formal setting. If kung-fu fighting isn't your bag, there's also the high-speed excitement of Pitstop II, featuring six of the world's top tracks rendered as only the Commodore 64 could - poorly. For those of you craving something new, this week also sees the release of Hudson's first-person shooter Onslaught for WiiWare (1,000 points), which features online play for up to four players as the forces of the Elite Interstellar Strike force battles evil insectoid aliens. Check out the full game descriptions below, along with an explanation of the clues from last week's Wii Update. I don't know if I will be picking up any of the C64 titles, but at least they kicked things off with the appropriate amount of ninja goodness. 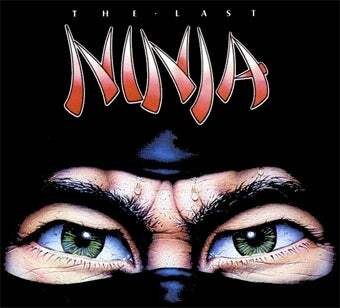 The Last Ninja™ (Commodore 64, 1 player, Rated E10+ for Everyone 10 and Older-Animated Blood, Mild Violence, 500 Wii Points): The evil Shogun Kunitoki has long envied the powers of the Ninja brotherhood and would do anything to acquire their knowledge. To this end, he has sworn an oath to their total destruction. Once every decade, all Ninja must travel to the Island of Lin Fen, where they pay homage to the Shrine of the White Ninja and receive further teachings from the Koga Scrolls. Seizing the opportunity, Kunitoki summoned forth all the spirits from the depths of the Nether World and flung their full force against the amassed Ninja. None escaped the wrath of Kunitoki. Word of this unnatural disaster soon reached Armakuni, the last Ninja. Gathering all his courage, he has sworn to wreak a terrible revenge on the Shogun and all his followers. What unforeseen hazards await him? INTERNATIONAL KARATE™ (Commodore 64, 1-2 players, Rated E10+ for Everyone 10 and Older-Mild Violence, 500 Wii Points): INTERNATIONAL KARATE is a simulation of a karate tournament in which one person can play against the computer or two players can compete against each other. During the game, you'll fly to various locations around the world. In all stages of the game, a wise old judge will watch over you and award you either a half-point or a full point, depending on how successful a hit has been. Pitstop II™ (Commodore 64, 1-2 players, Rated E for Everyone, 500 Wii Points): Pitstop II was the first game that brought serious auto racing action to the computer screen-the thrill of battling an opponent, the excitement of fighting for the lead out on the track, and the suspense of struggling to be the first out of the pits. Third-person graphics and a split-screen display allow one or two players to experience the challenge of car racing head-to-head. Six of the world's toughest tracks are waiting, from Brands Hatch and its hairpin turns to the mile-long straight of Vallelunga. You can practice against the computer, but nothing will compare to the fun of racing against another person. Indeed, Pitstop II proves that car racing was never meant to be a solo sport. • The third sentence ends with a comma and the word "door," hinting at the name Commodore. • "Brick House" was a hit for R&B group The Commodores. • Pennsylvania's Route 286 passes through a town called Commodore. • The phrases "birthday greetings" and "who could ask for more?" are found in the classic Beatles tune "When I'm 64."